Sophisticated and elegant, this velvet sandal is ideal for special occasions. The shoe features crossover straps at the front creating a bow. 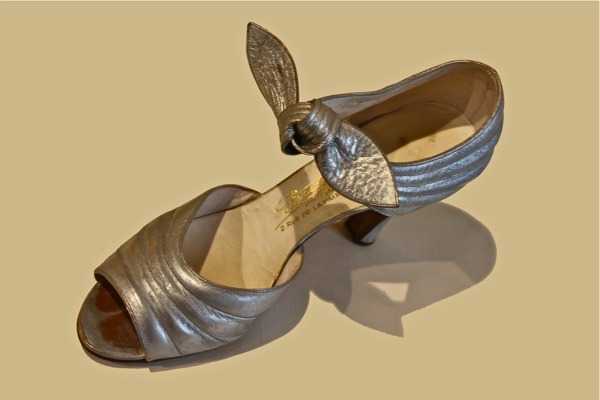 Two known models of the Perugia “draped heel” are kept at the International Footwear Museum of Vigevano (picture above) and Romans’ Musée International de la Chaussure (top left page).